My name is Morgan I am a recent graduate of Colgan High School. This past year was my third year in Y Street and my second year on the Y Street Leadership Team. Y Street is a youth-led movement that strives to promote health in Virginia by targeting issues such as unhealthy beverage consumption, tobacco usage, and obesity. So why did I choose to primarily focus on obesity? Although Virginia is one of the country’s largest agriculture producers, many Virginians are becoming increasingly nutritionally deficient, which can cause an increased risk of type two diabetes and obesity. Youth are at a larger risk for developing a health issue because children are being introduced to unhealthy diet habits at much younger ages than in previous years. Also, youth, including teenagers, are more susceptible to meticulously-targeted food ads which allow for a certain “norms” to be established that popularize unhealthy diet practices, blinding youth from other forms of nutrition. I want to introduce youth, like myself, to healthier alternatives because I believe that everyone has the right to know how to live and practice a healthy lifestyle. 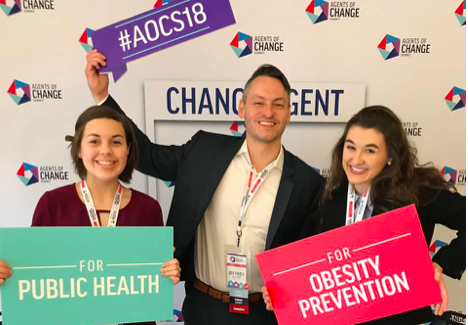 Y Street combats health issues by breaking down the issues into smaller campaigns that help youth by providing supplemental resources and data to initiate policy change within Virginia. Also, Y Street encourages youth to make healthy decisions by offering supplemental resources that educate and advise readers about easy ways to attain a healthy lifestyle. I would be thrilled to see more youth adopt practices to begin a healthier lifestyle because these youths would have more energy and they would go on to live happier lifestyles. If our communities adopted healthier lifestyles, a larger group of people would become happier, increasing community support and creating life-long benefits. Y Street advocates for healthier lifestyles by attending community events and educating individuals about the health benefits of a diet change while engaging in fun activities!